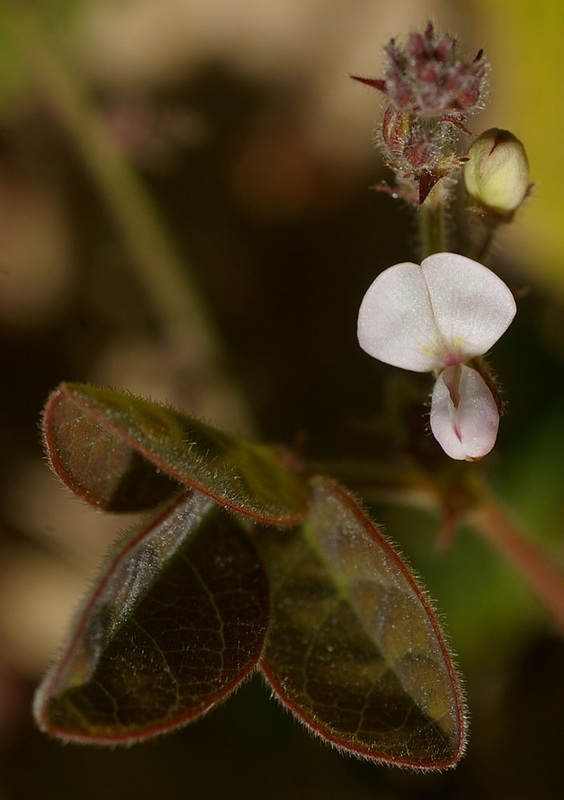 Samoan clover (Desmodium scorpiurus (Sw.) Desv.) is a vigorous perennial tropical legume suited for cultivation in mixed stands with short grasses or other legumes. It is very palatable to livestock. 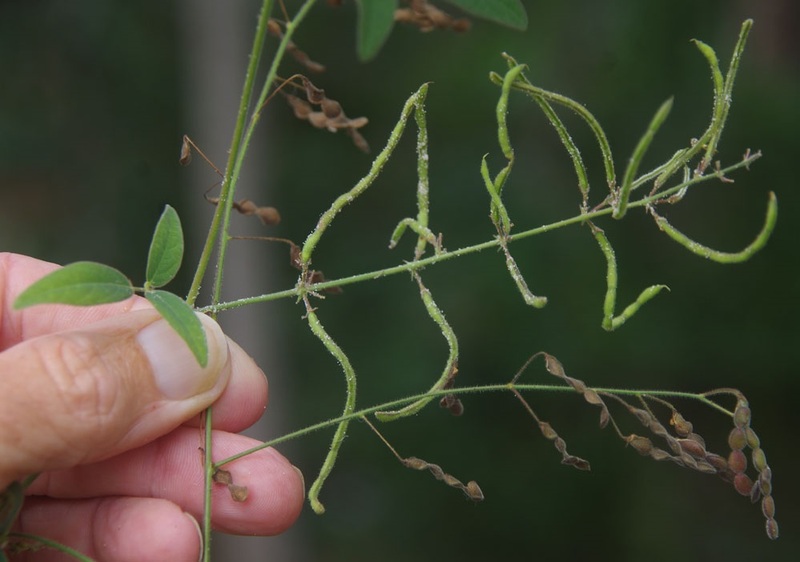 Desmodium scorpiurus is a prostrate perennial legume that spreads readily from its trailing, climbing or procumbent hairy stems, up to 50 cm long (FAO, 2017; Skerman et al., 1990; Burkill, 1985). Leaves are compound, trifoliolate. Leaflets are elliptic, round or oblong in shape, hairy, 0.5-4.5 cm long x 0.2-1.8 cm broad. The inflorescences are axillary and apical, racemose, 7-33 cm long, few-flowered. Samoan clover flowers are papillonaceous, pink or pale purple in colour. The fruits are cylindrical pods, 4 cm long, hairy, constricted around the seeds. The pods may twist and look like scorpion tails hence the latine name "scorpiurus". The seeds are oblong, 2.3 mm long x 1 mm wide, pale brown in colour (FAO, 2017; Burkill, 1985). 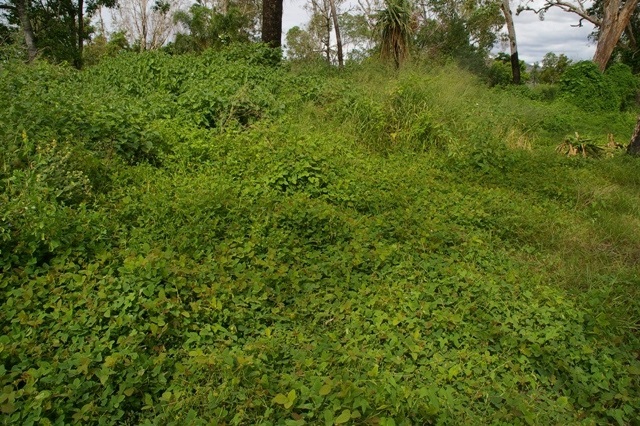 Samoan clover is used as a pasture crop in Queensland (Australia) and in Cuba. In Africa, its extracts were found to have an anti-inflammatory activity (Adediwura et al., 2016). Important in vitro antibacterial activity of extracts of aerial parts of Samoan clover (extracted with petroleum spirit, chloroform or methanol) were observed against Pseudomonas aeruginosa, Escherichia coli or Streptococcus pyogenes (Ndukwe et al., 2006). Desmodium scorpiurus originated from tropical America, and is now widespread in the tropics (FAO, 2017). It is naturally found in tropical America, from West Indies, Mexico to Peru, and is sporadically naturalized in South-East Asia and tropical Africa (Hanelt et al., 2001). Samoan clover is present in Western Africa from Senegal to Nigeria, and in Cameroun (Burkill, 1985). In India, it was first reported in 2014 in the Eastern Ghats of Andhra Pradesh (Naidu et al., 2014). It grows from sea level up to an altitude of 500 m. In Cuba, Samoan clover is naturally found in places where occur grasses such as Bermuda grass, Bahia grass and dallis grass (FAO, 1956). Desmodium scorpiurus can be grazed and withstands animal trampling (Skerman, 1982). It establishes from seeds carried by animals in their fur or faeces (FAO, 2017). Information about the composition of Samoan clover is scarce. The protein content was reported to range from 14.5 to 19.3% (Bermúdez et al., 1968; Blair Rains, 1963; Lebas et al., 2012). 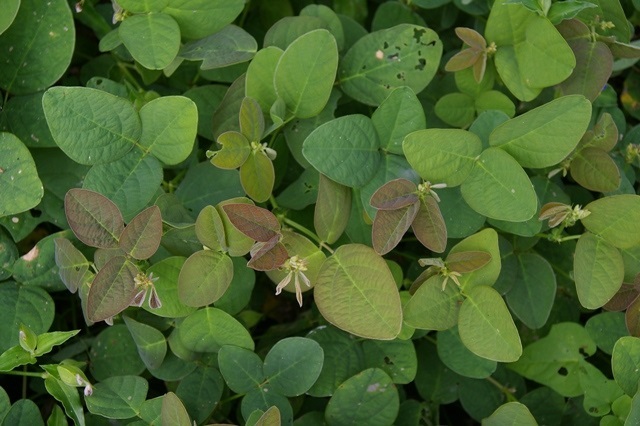 Desmodium scorpiurus is reported suitable as a pasture legume in the Guinean zone. In Nigeria, residues of Samoan clover and seeds were found in cow dung, confirming that it is a part of their diet (Dzomeku et al., 1997). In Nigeria, the DM intake of Samoan clover per head per day by cattle was 0.42 kg. The reported in vivo OM digestibility was about 50% (Miller et al., 1963 cited by FAO, 2017). International literature is very scarce on the use of Desmodium scorpiurum in rabbit feeding. Only one publication mentions its use among forages used in Benin by small farmers (Lebas et al., 2012). No direct experiment seems available on its nutritive value for rabbits. According to its chemical composition, the digestible energy may be estimated as about 8.1 MJ/kg DM and the protein digestibility (23%) seems very low, as a consequence of the high level of lignin (Lebas, 2016).